Thank you for visiting my site. I’m Tatsuya Arai, of Kyoto, Japan, a guy in the age of forties with pre-DM. I started smbg(self-monitoring of blood glucose) a couple of years ago, just to see—out of curiosity— if agave syrup is really low-GI, as is often claimed. 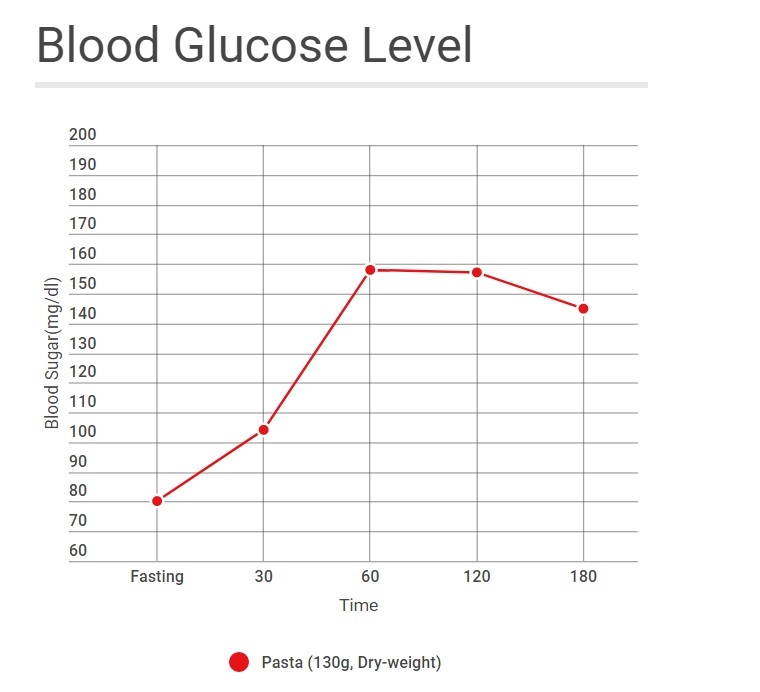 One day, I measured postprandial blood glucose after eating pretty much amount of pasta, and found that my blood glucose is far above the normal level. *120g of dried pasta contains about 90g of carbohydrates. A physician told me that I am presumably pre-DM, and if I do not restrict the intake of carb more or less, I shall develop a real DM sooner or later. Since then, I regularly monitor my blood glucose level, to see what kind of food or ingredient raises my bg-level to what extent. There are results of far more than one-hundred experiments I have done so far. Some of the foods in the list below may be unique to Japan or East Asia, but I hope this list will be helpful to some people with DM or pre-DM. Almost all the monitorings are done under the same conditions as much as possible. The tests are done around 11:00 am, and the food tested is the first meal in each day. The monitoring device is TRUE pico, of Nipro, the American version of which is named True2go.